Brittany works with another nurse who is also pregnant, and due in April. Today, their coworkers are giving them a joint baby shower! 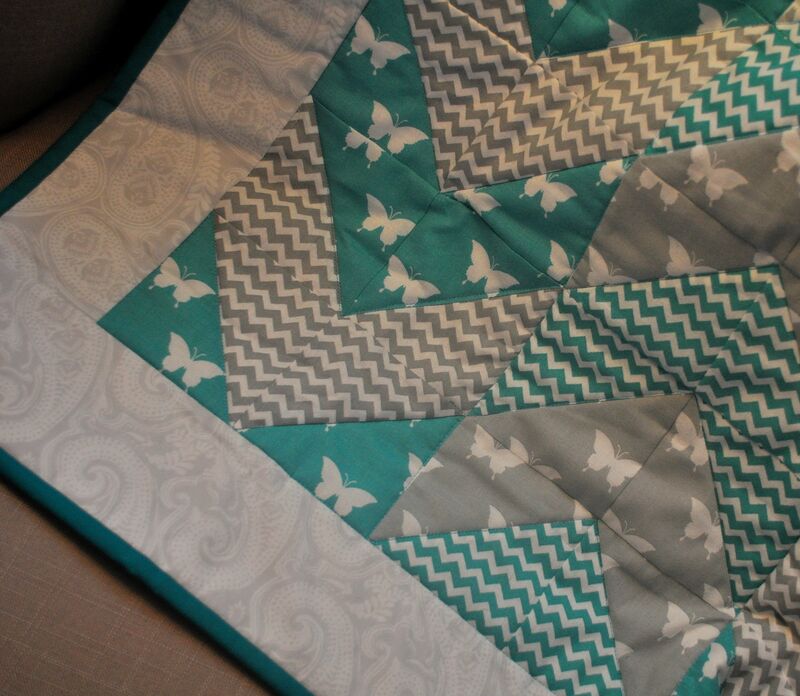 I made a cute little baby quilt for Brittany to give to her friend, for her baby girl. 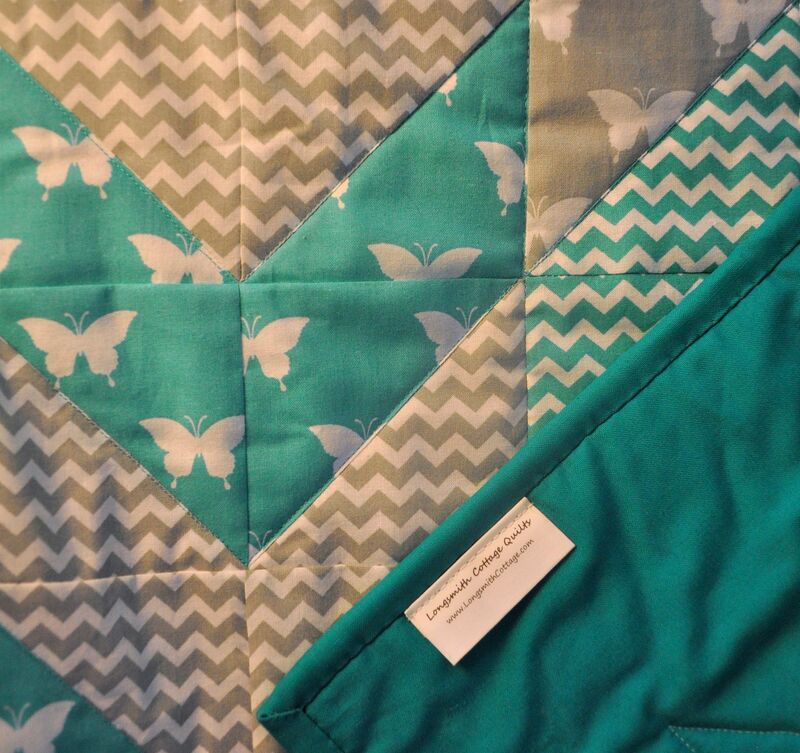 The nursery colors are gray and turquoise, and the theme is arrows. I hope both momma and baby, Emerson Kate, like it. 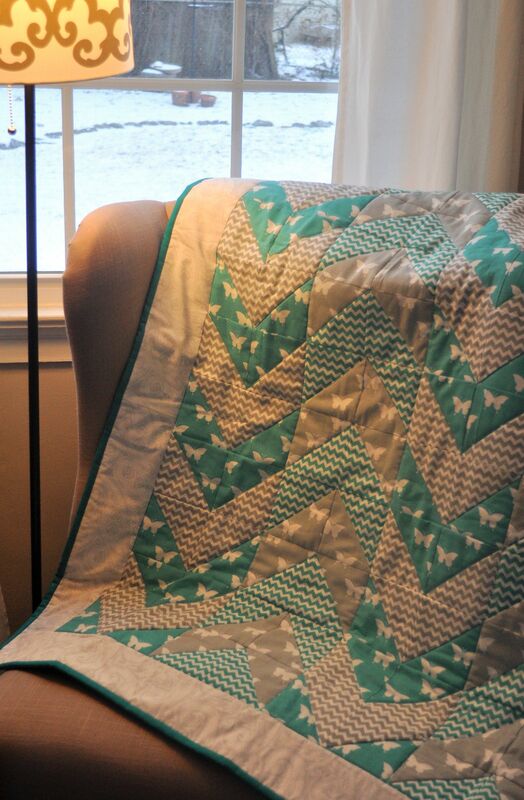 Love the quilt and I know the recipient will, too. So hard to wait for those babies sometimes. Thanks Donna! I’m still working on a quilt for our new grandson – maybe I’ll have it finished in time for show and tell at the next guild meeting! See you then!